The great and glorious Second Cavalcade of Guests may be over, but Deep Space Stein RAGES on. In this fourth installment, our fancy craft beer supply is low, but our spirits remain high (and drunk). 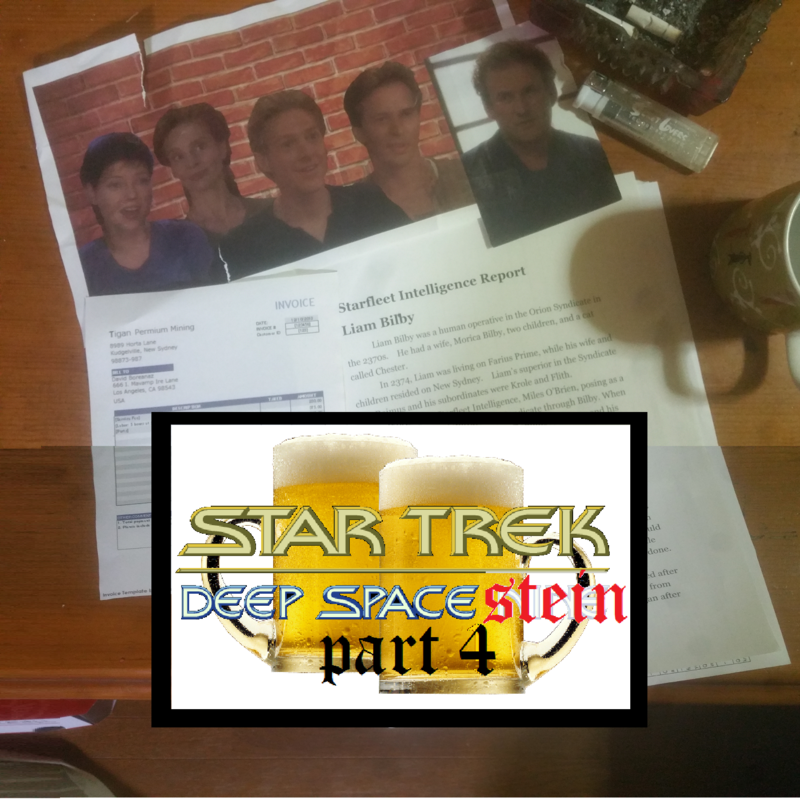 Take a trip with the core Reopening the Wormhole crew to beautiful New Sydney to chill with Ezri Dax and her family, help O’Brien solve an unsavory Bilby-related mystery, and examine Norvo’s paaaaaiiiiin. Get ready to hear the name Norvo a lot, because we sure love saying it. Along the way, we’ll also reveal what planet Malcolm McDowell is actually from and what relation he has, if any, to Ewan McGregor, Denis Lawson and Alexander Siddig, how this episode would compare to some sort of Flintstones/Jetsons crossover (but NOT The Jetsons Meet the Flintstones), the proper way to spell Thadial Bokar (oh, wait, whoops), let you puzzle over what “grillville” actually means, and so much more. Like talking about how we feel about the episode and stuff. It’s the thrilling conclusion of Deep Space Stein that you won’t want to miss! Keep it grillville, y’all.